Ovio is a multifunctional coffee table that allows you to drink coffee in the company of plants. The table is divided into two parts. 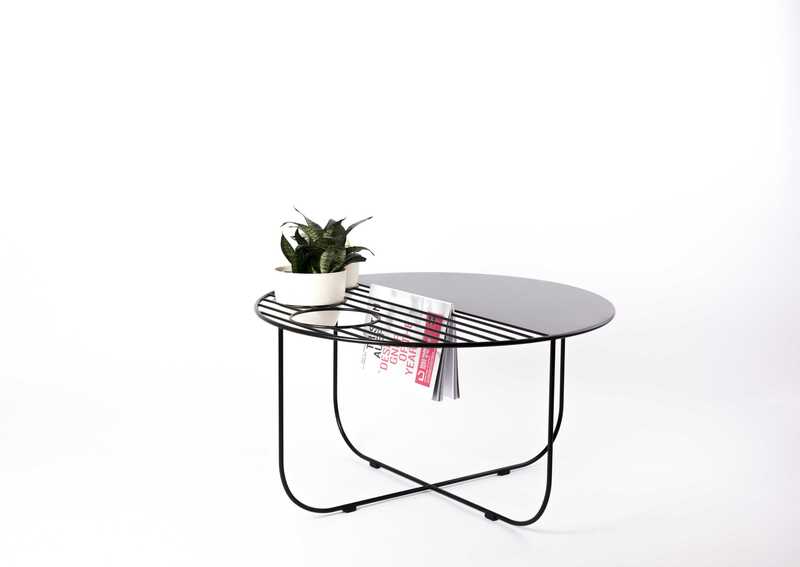 Full, functioning as a classic coffee table and openwork. In the openwork part, we have provided a place for plants that we can put in 3 holes. In addition to the greenery, we can insert a bowl of fruit, snacks or crayons for children. In addition, openwork bars are a place where we can hang a newspaper or magazine. Coffee table Ovio will work well in contemporary interiors of houses, restaurants, and hotels. Made of steel, powder coated. Duration of order 10-15 business days. 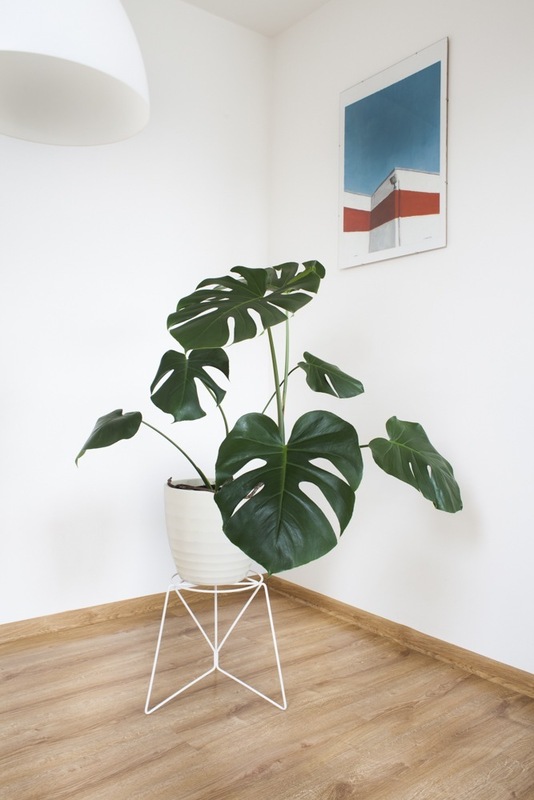 Find your plant stand, invite the green fellow and create a home or office jungle full of joy! 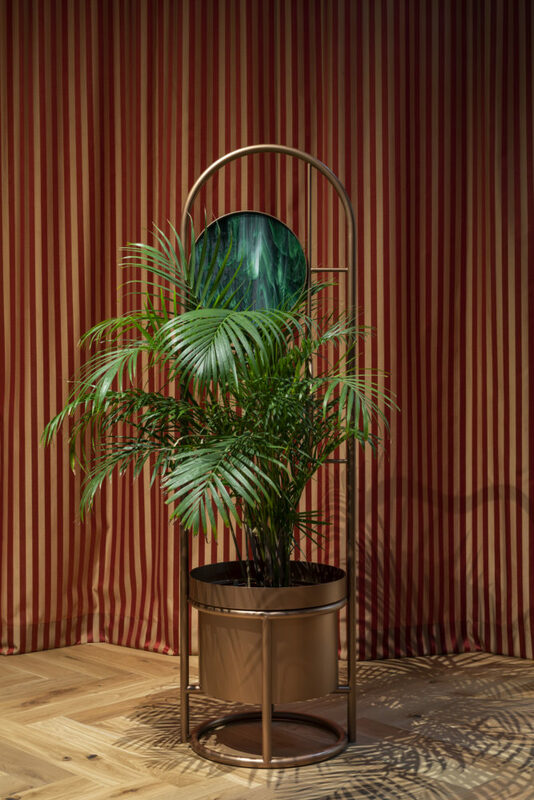 Milo plant stand from the BonBon collection has been created for the largest plants of our home and office jungles. 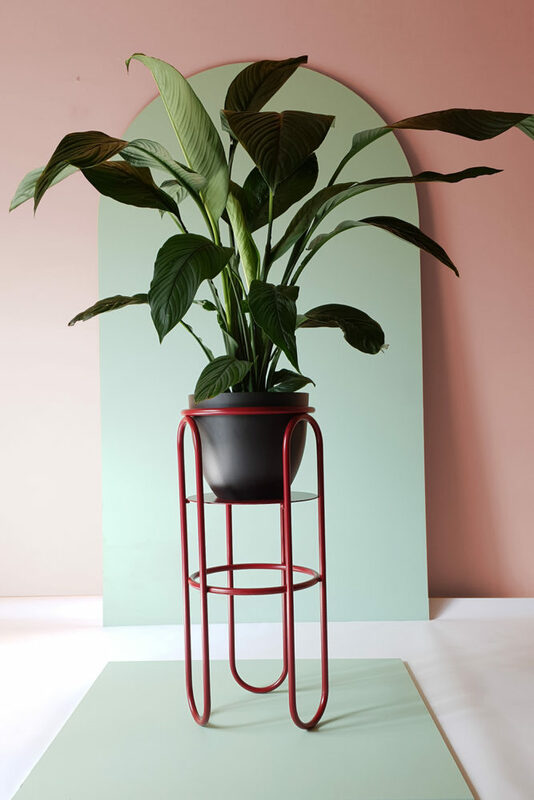 When your overgrown arenas, bananas or dracaena do not fit on the windowsill, they take up a lot of space on the floor, or if you are looking for the perfect setting for them, Milo plant stand will help you organize the greenery in the interior. Milo plant stand is able to bear the weight of large and heavy plants, reaching 40-50 kg! The plant stand is powder coated. The palette has standard colors - black, white, dark green, burgundy. For individual orders we are able to choose any color from the RAL palette. The Milo plant stand has two levels on which we can put a plant. For example, spiny bananas, we can put on the bottom shelf, and the spreading calathee on the top. Thus, we can freely manipulate the plant's location depending on its type and appearance. All plant stands have been designed and handmade in Poland. 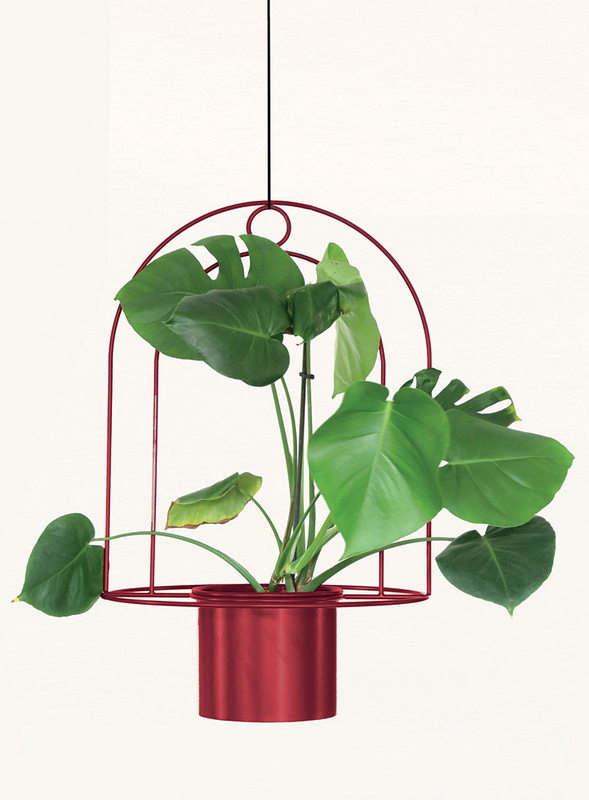 Buy our stand plant, invite green fellow and make your own home jungle full of joy! 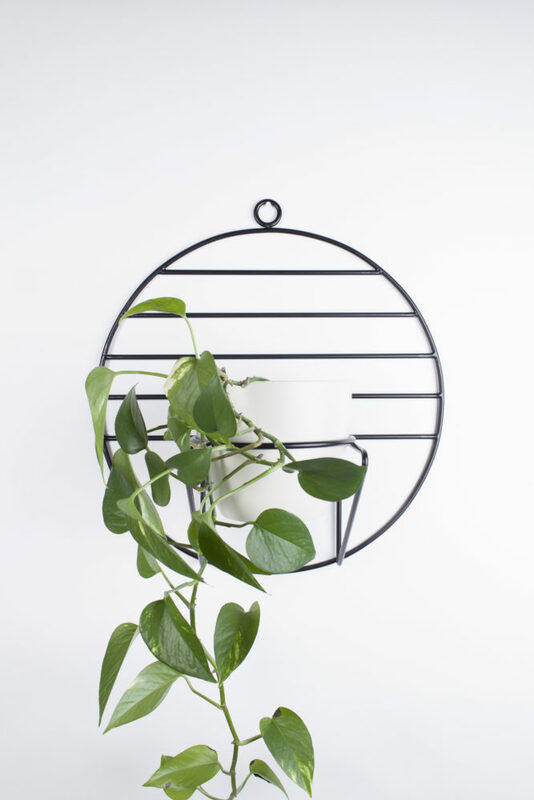 Design Hanging plant stand of pure geometric shapes. It belongs to the Cosmo collection. Thanks to the minimalist, lightweight form, the interior of which is filled acquire dose of taste and character. And the plant that we placed inside them fully exposes its charms. Quality Our plant stands are hand made products made from 6 mm powder steel. Powder coated provides the highest quality protective coating , scratch-resistant and external factors. Functionality In the Luno we put pot inside the circle. And two brackets provide full stabilization of plant we put in. 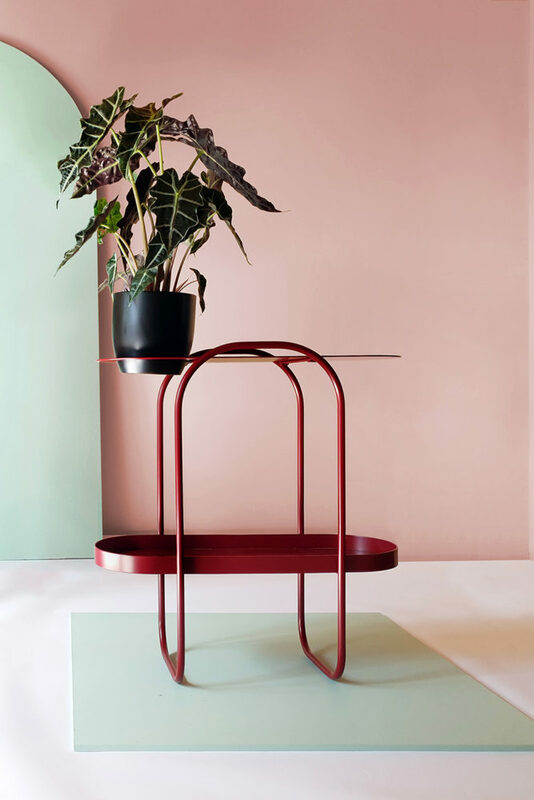 Plant stand Tondo from the BonBon collection was created with the aim of concentrating more plants in one place. We can put several green companions in it at the same time, thus obtaining the effect of a green bank of flowers in the interior. 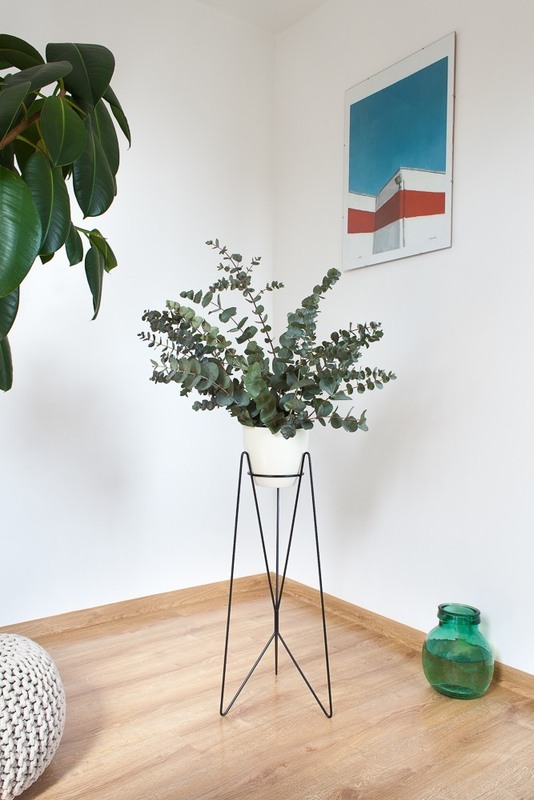 The Tondo plant stand can bear a weight of up to 60 kg! 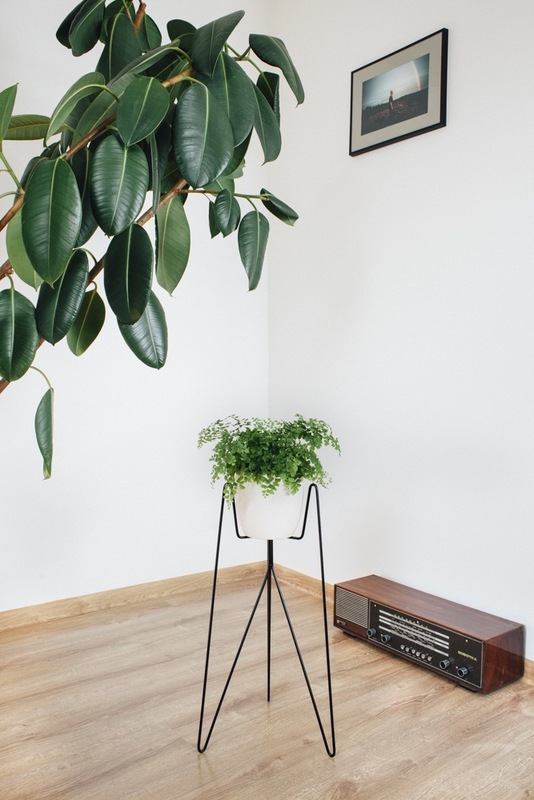 If you want to create a green corner in your home, office, restaurant and you are looking for a place for several plants, this plant stand will work perfectly! Powder coated, therefore it can also be used outdoors. Available in basic colors: black, white, dark green, burgundy. And also at extra cost, in all RAL colors. All our plant stands have been designed and hand-made in Poland. 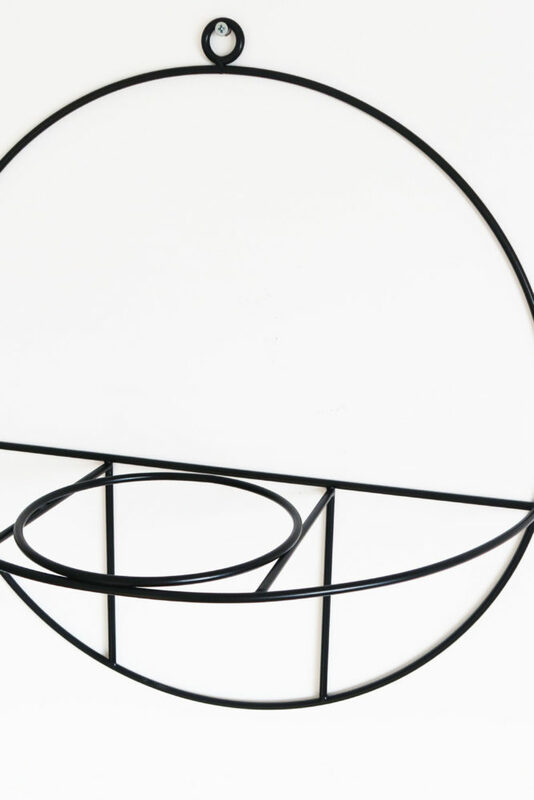 Design Hanging plant stand from Cosmo collection, of pure geometric shapes. Thanks to the minimalist, lightweight form, the interior of which is filled acquire dose of taste and refinement. And the plant that we placed inside them fully exposes its charms. Quality Our plant stands are hand made products made from 6 mm powder steel. Powder coated provides the highest quality protective coating , scratch-resistant and external factors. Functionality In the Sol we put pot inside the circle. And two brackets provide full stabilization of plant we put in. Find your plant hanger, invite the green fellow and create a home or office jungle full of joy! You hang the Dou directly under the ceiling. 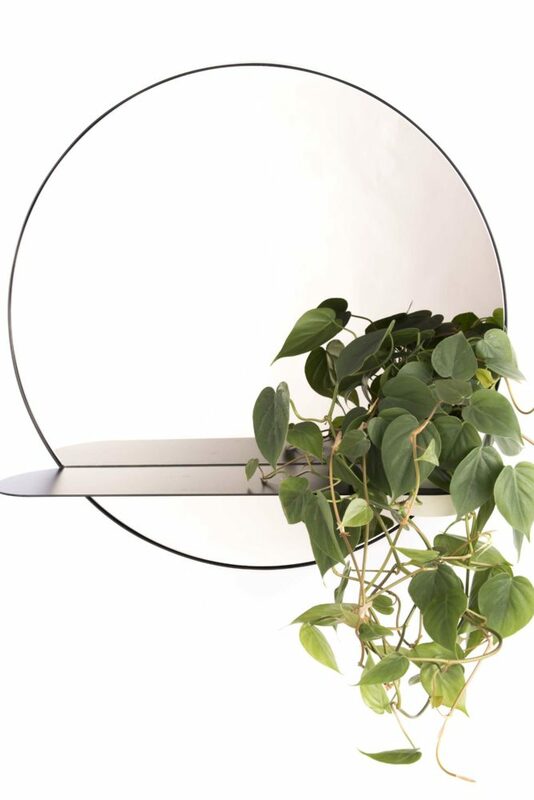 When there is no room on the floor or walls, the Dou hang planter is an excellent alternative! Thanks to it, we can actually feel like in an urban jungle placing the plant at the height of our head. Hang planter Dou has a wider structure than his brother Mou. Hence it is ideal for more extensive plants such as calathe! Mou is powder coated. Available in basic colors: black, white. For an extra charge, you can choose any color from the RAL palette. 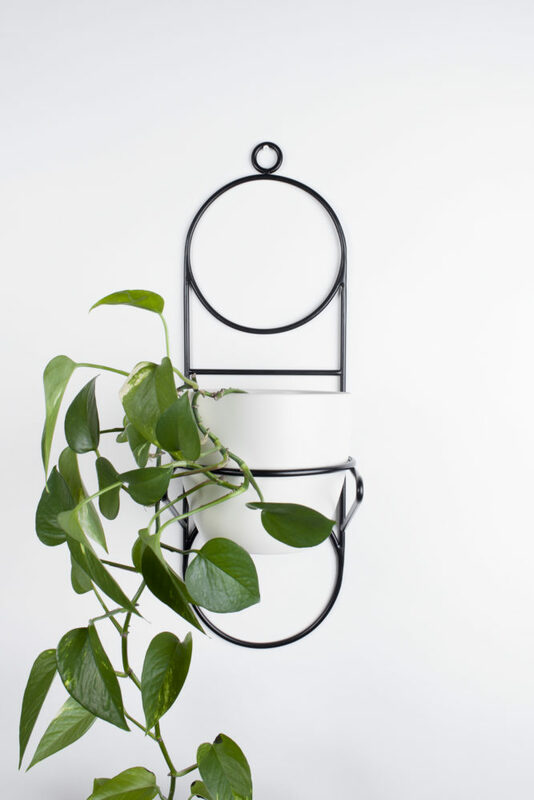 Design Hanging plant stand of pure geometric shapes. We were inspired by green planet Naboo from the Star Wars, which has two beautiful moons. Thanks to the minimalist, lightweight form, the interior of which is filled acquire dose of taste and refinement. And the plant that we placed inside them fully exposes its charms. Quality Our plant stands are hand made products made from 6 mm powder steel. Powder coated provides the highest quality protective coating , scratch-resistant and external factors. Functionality In the Nabu we put pot inside the circle. And two brackets provide full stabilization of plant we put in. Find your hang planter, invite the green fellow and create a home or office jungle full of joy! Mou a plant hanger is used for hanging directly from the ceiling. The perfect solution when the floor and walls are already occupied, or if we want to divide the interior space to a certain degree, the Mou plant hanger will work perfectly. 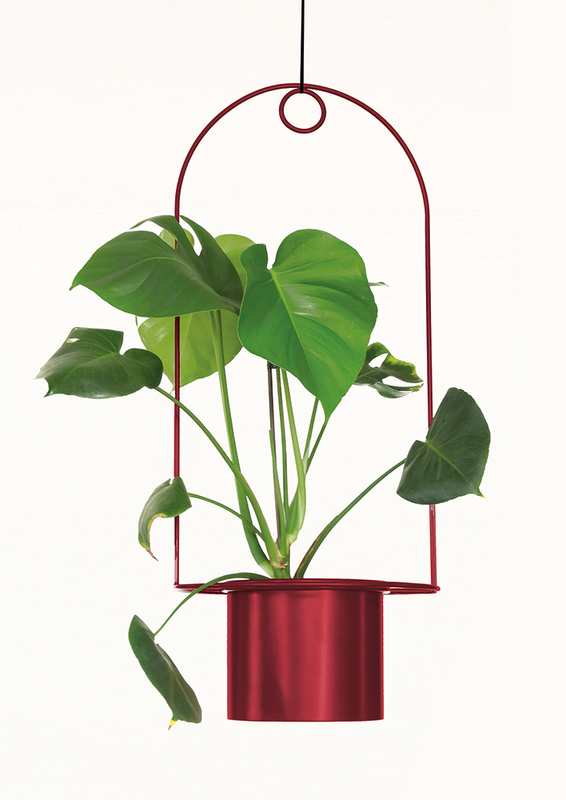 Due to its soaring form, Mou plant hanger is ideal for higher plants. In the set for the plant hanger we also add a special metal pot, to which we can directly plant the plant or put it in a pot. What's cool, the pot can be easily pulled out and replaced with pot. Mou plant hanger is powder coated. Available in basic colors: black, white. For an extra charge you can choose any color from the RAL palette. All plant hangers have been designed and handmade in Poland. Design Hanging plant stand Diun of pure geometric shapes. Created for larger plants. Thanks to the minimalist, lightweight form, the interior of which is filled acquire dose of taste and refinement. And the plant that we placed inside them fully exposes its charms. Quality Our plant stands are hand made products made from 6 mm powder steel. Powder coated provides the highest quality protective coating , scratch-resistant and external factors. Functionality In the Diun we put pot inside the circle. Find your plant stand, invite green fellow and create a home or office jungle, full of joy! Beautiful and large plants require a proper binding scale and background. Such a thought was guided by the creator of this project, the design studio Beza from Warsaw. We used long metal elements that support more extensive vines and a mirror and glass that is an interesting background for them. Hula is ideally suited as a natural partition and thus fits into the larger office and private spaces. Hula is available in basic colors: black, white, dark green, burgundy. For an additional fee, it is possible to choose any color from the RAL palette. In this plant stand, you can also choose the color of the lane glass, as well as the classic or smoked mirror. The plant stand is made to order. The waiting time is 3-4 weeks. After placing the order, we will contact you to arrange the finishing details. Design Nu is our smallest companion , only for exceptional specimens of your home jungle. Perfectly fit in the space of your desk , shelves , window sill . When will be sad it will cheer you when you will run out of and you lack the motivation it provide a positive kick of energy. We no longer know whether we describe our stand or green friend , whom you actually place it ! Quality Our plant stands are hand made products made from 6 mm powder steel. Powder coated provides the highest quality protective coating , scratch-resistant and external factors . Functionality In Nu you put pot inside the circle. Stable and lightweight design makes the stand plant can be easly moved. Design Neo is a classic of the genre. Soaring like the Empire State Building , as delicate as the Cleopatra’s skin after bathing in milk. The minimalist design perfectly blends with contemporary interiors becoming their decoration and valuable specimen in the collection of every fan design. Quality Our plant stands are hand made products made from 6 mm powder steel. Powder coated provides the highest quality protective coating, scratch-resistant and external factors. Functionality In Neo you put the pot inside the circle. Stable and lightweight design makes the plant stand can be easily moved. In addition, you can use Neo as a pedestal for greenbells or vases. Design Bona in its form refers to the flower petals. Lightness in conjunction with the stability and remarkable durability makes it perfectly shows off the beauty of your biggest specimens of your home jungle! The minimalist design perfectly blends with contemporary interiors becoming their decoration and valuable specimen in the collection of every design lover. Quality Our plant stands are hand made products made from 6 mm powder steel. Powder coated provides the highest quality protective coating, scratch-resistant and external factors. Functionality In Bona pot is supported from below. In addition to the plants of large dimensions in its interior, you can place smaller specimens. Stable and lightweight design makes the stand plant can be easly moved. In addition to the flower pot stand plant ideally suited as a pedestal for greenbells, vases or your goldfish. Design Bati in its form refers to the delicate and light butterfly wings theme. Tapering toward the top of the leg perfectly emphasize the beauty contained in the plant . The minimalist design perfectly blends with contemporary interiors becoming their decoration and valuable specimen in the collection of every design lover. Quality Our plant stands are hand made products made from 6 mm powder steel. Powder coated provides the highest quality protective coating, scratch-resistant and external factors. Functionality In Bati you put the pot inside the circle. 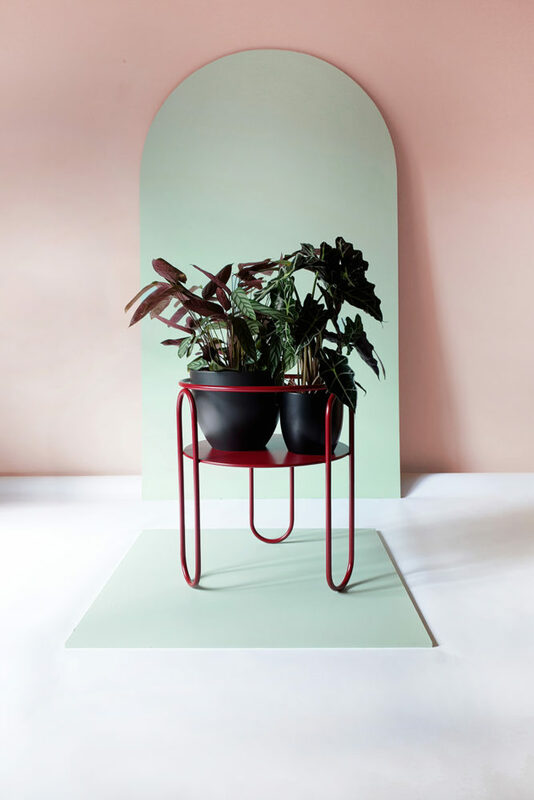 Stable and lightweight design makes the plant stand can be easily moved. In addition, you can use Bati as a pedestal for greenbells or vases. Design Flo is a designer gem of interior design elements. 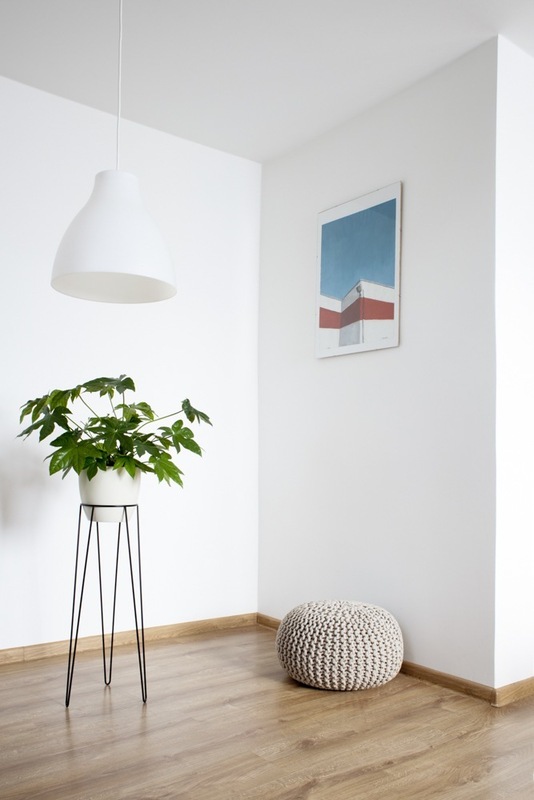 Minimalist form and gentle, rounded shapes give this plant stand seriousness and lightness. It fits perfectly into contemporary interiors becoming their decoration and valuable specimen in the collection of every design lovers. Quality Our plant stands are hand made products made from 6 mm powder steel. Powder coated provides the highest quality protective coating , scratch-resistant and external factors. Functionality In Flo pot is supported from below. 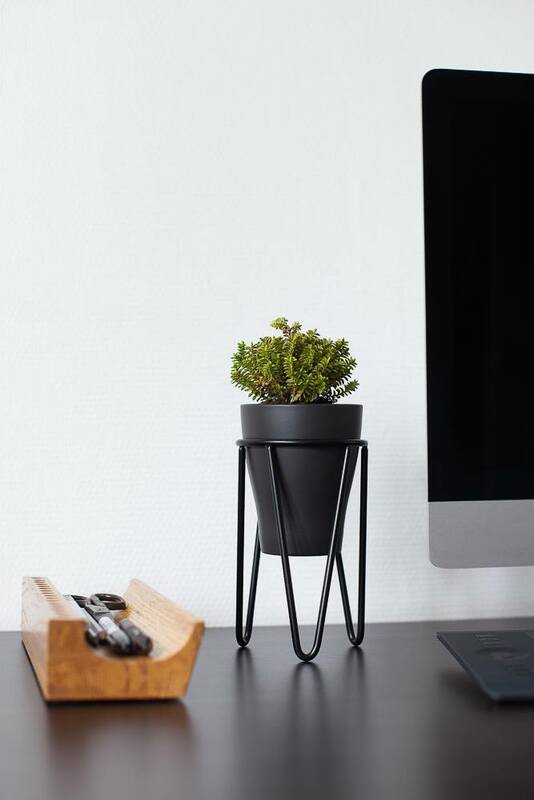 Stable and lightweight design makes the plant stand can be easily moved. In addition, you can use Flo as a pedestal for greenbells or vases. 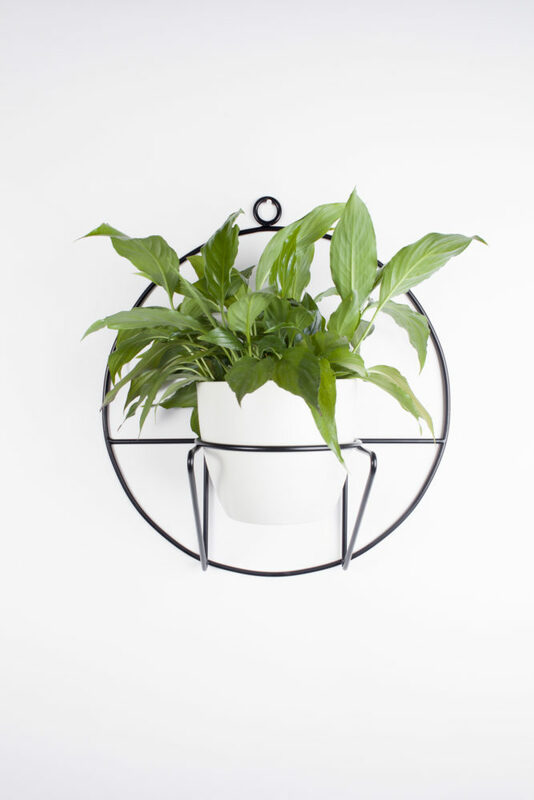 We design beautiful and functional plant stands, which will encourage you to make your own home jungle!